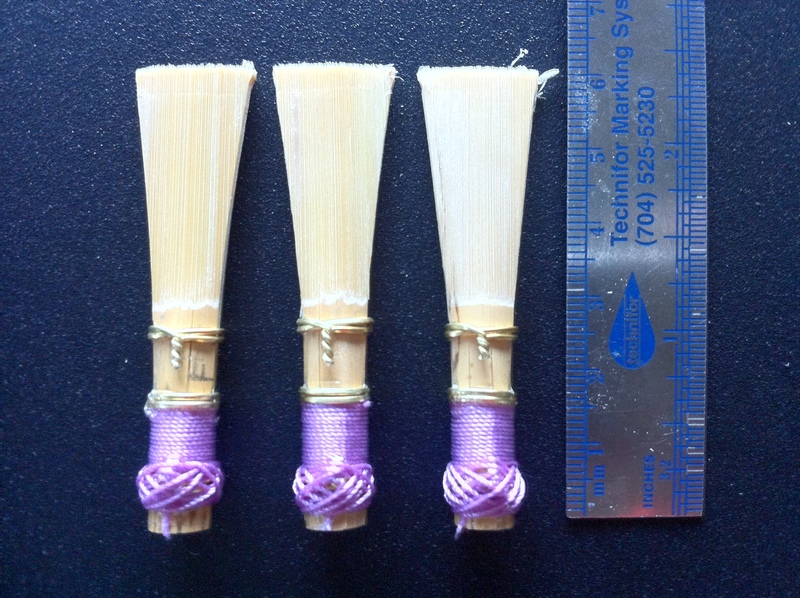 One of the defining aspects of creating tone on the bassoon is the shape of the reed. Shapers are made by many different companies, and each company offer different dimensions. These design differences correlate to players’ theories about reed dimensions. Some top players even have their own shapes manufactured to unify their own reed style. Shapers are made of shaper handles and shaper tips. The shaper tips are the pieces with varying dimensions, and many shaper tips can fit into the same shaper handle to process cane. Straight shapers do not require shaper handles and are usually cheaper. For shaping with regular shapers the cane is folded in half and so only two sides need attention. The set back of the straight shaper is that the cane is not folded over and so four individual side of cane need to be cut evenly. I own three shapers myself; a Fox 2 straight shaper, Rieger 1A, and a Rieger 13. Oddly enough all of these shapes create a 15.5mm tip and play respond best with a blade length of about 27mm. 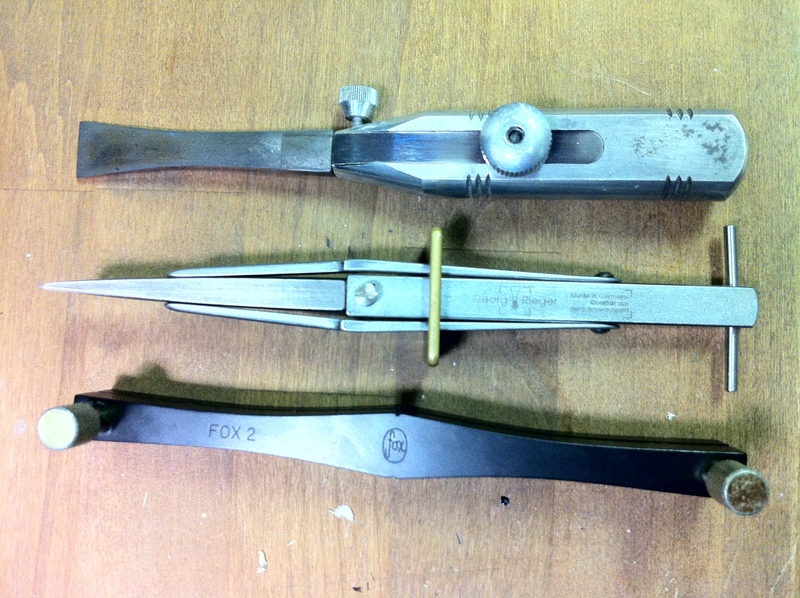 I would say that a Fox 2 straight shaper is a great shape for people new to reed making. A Straight shaper (black shaper pictured above) is easier to work with because there are no adjustment screws in the way of you knife, and you can shape before or after profiling. This is a thinner shape with narrow throat and tube. This is my go-to shape for high note reeds, however low notes are usually quite sharp. The Rieger 1A is a very popular shape, and I haven’t met a bassoonist who doesn’t own this shape. Its a great shape for bassoonists who are looking for an all around balanced reed with high notes and low notes. In my experience, this shape can be a bit too bright with a *CVX* bocal. A bright shape with a bright bocal can create a thin sound which lacks much depth. 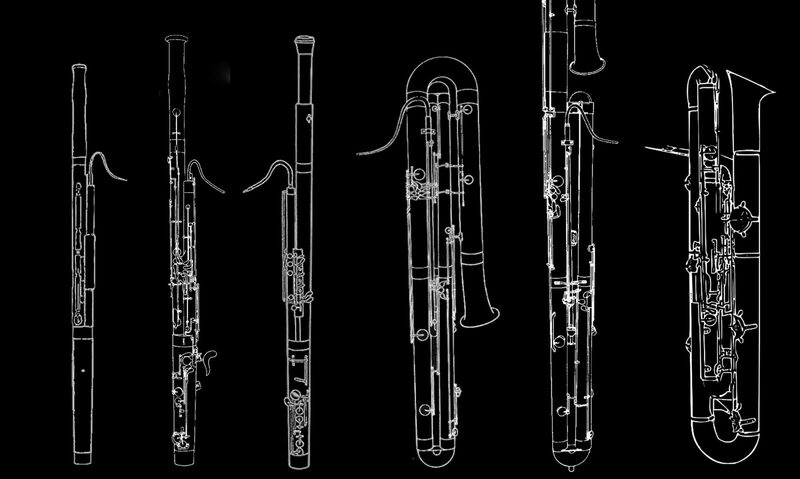 The Rieger 13 is new to me, it is a copy of the shaper created by the famous American bassoonist K. David Van Hoesen. Many of my favorite bassoonists today studied with Van Hoesen and carry on some of his reed ideas. It has a wide throat and tube which is great for keeping pitch down for most reeds. The shape of the finished blade itself is slightly rounded near the tip. So far I have noticed that this shape has a sweet sound and ages well. below are three blanks shaped on different shapers.